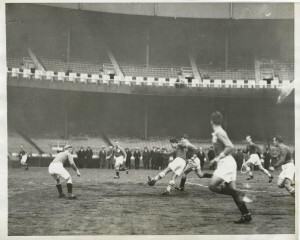 The announcement on Tuesday of a second Major League Soccer team for New York — sponsored by Manchester City FC and the New York Yankees — has sent me down a rabbit hole of soccer history, courtesy this excellent and exhaustive article on the subject by David Litterer. 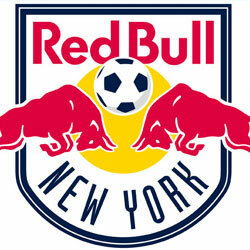 The New York Football Club will join the New York Red Bulls on the soccer fields in 2015. But when do they get a new name? NYCFC seems so, I don’t know, average. New York Thistles — played from the early 1880s until 1906. Among their colorfully named competition in those years were the Brooklyn Longfellows, the New York Caledonians, New York Nonpareils and the Williamsburg Shamrocks. New York Hakoah — The original Hakoah (Hebrew for ‘strength’) played in New York during in the 1920s, derived from a Jewish Austrian sports club of the same name. (It eventually derived many of its players from the Austrian team too.) Several players inducted into the National Soccer Hall of Fame played for the Hakoah at one point. There is presently a team by this name keeping up the tradition in New Jersey. 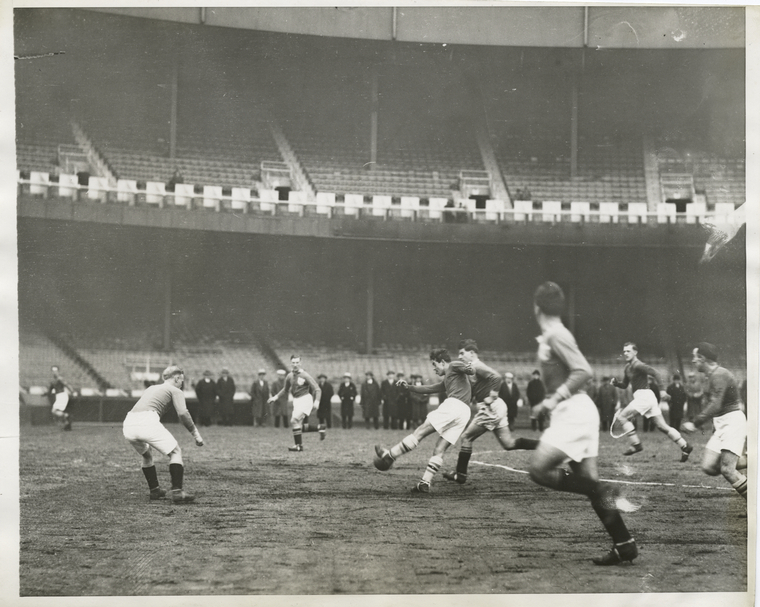 New York Americans — This patriotic team formed by Hungarian player Emo Schwarz entertained audiences during the Great Depression, along with the New York Brookhattan. In the 1950s, they actually merged with another team to form a second incarnation of the New York Hakoah. New York Skyliners — Playing all their games at Yankee Stadium, the New York Skyliners were a curious aberration that lasted only a single season (1967), giving New York two professional soccer teams (the other being the New York Generals). Nobody on the team was from New York; they were simply the (briefly) rebranded Cerro team from Montevideo, Uruguay. By the end of 1968, both the Generals and the Skyliners had folded. 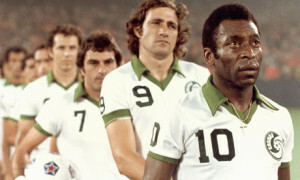 New York Cosmos — Soccer made a serious push to rival baseball and football in the United States in the 1970s, and New York’s entrant into this new spotlight were the Cosmos, who played from 1971 to 1984. In late 1970s, at the height of their popularity, they were packing 40,000 people per game into Giants Stadium, thanks in part to their star player Pelé (pictured above). Sadly, the excitement for soccer waned in the 1980s. The North American Soccer League folded, as did the Cosmos. But everything is new again. A new of the NASL started up again in 2011, as is a new edition of the New York Cosmos, starting this seas. So, for now, this name is off-limits. There’s also a host of one-shot names that cropped up in old “soccer” football records between 1860 and 1880s. From that list, I’d like to offer up the following names — New York Married & Singles, New York Dauntless, New York Gentlemen, New York Pilgrims and the New York Westside Rovers. Of course, if there is a new name, it will probably be a product of some sort. But at least make it a New York-based product please! The New York Snapples? The New York Katzs’? The New York Shake Shacks? NOTE: If any New York soccer fans have any corrections to the information above, please send them along. Thanks!